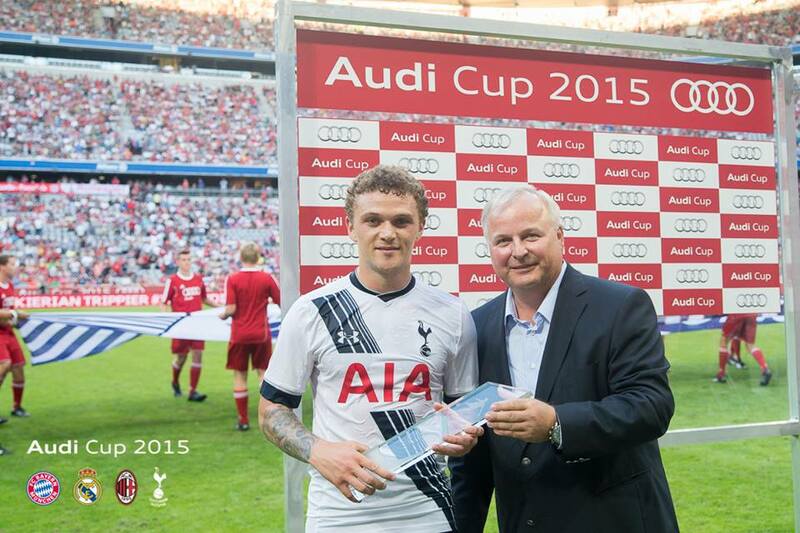 Home › Analysis › AUDI CUP : AC Milan vs Tottenham 0-2 Review from München. 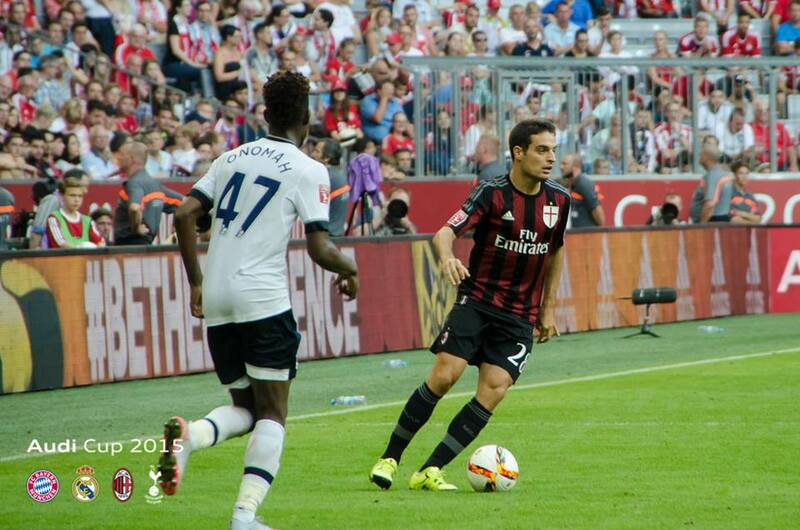 AUDI CUP : AC Milan vs Tottenham 0-2 Review from München. 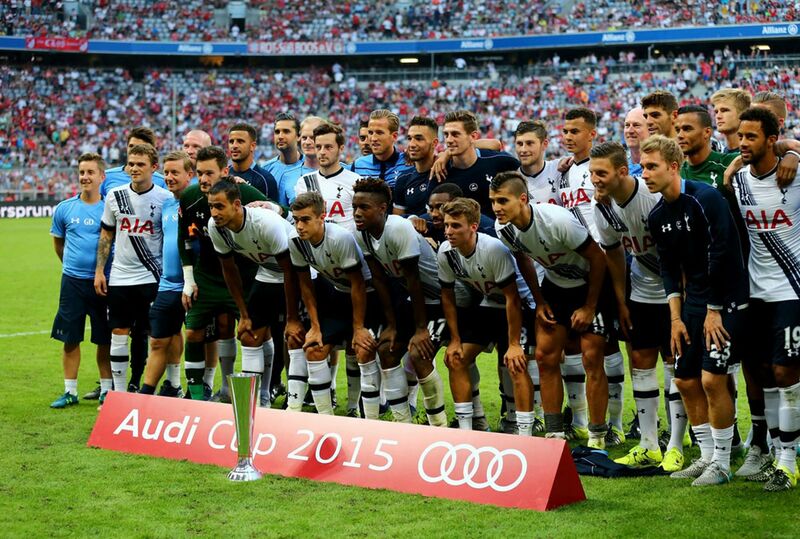 Tottenham Hotspur claimed the third place in the Audi Cup beating easily (2-0)Serie A’s AC Milan in Allianz Arena. After the defeat against Real Madrid, the English team had something to prove and that showed very early, when Nacer Chadli sent his 25 yard free-kick just wide of Abbiati’s goal (4th) and fending off four minutes later, two defenders, launching an impressive left footed strike into the top left corner(8th) . Milan tried to get back in the game, but they only could create half-chances and none of them were able to put Luke Mc Gee, Tottenham’s young goalie in any danger. The most dangerous chance to score was Matri’s trying to lob Mc Gee, but the ball sailed over the crossbar. Tom Carrol could have doubled the score but Abbiati turned the shot around the post, using only his fingertips. The second half was disrupted by a great number of substitutions, but the small contigent of Spurs faithful present in the stadium, were delighted to see their injured Captain Hugo Lloris, back on duty between the posts(55th). AC Milan had a good chance in the 64th minute but Carlos Bacca sent the header well wide.It was another Spurs youngster who put an end in Milan’s hope for an equalizer; Tom Carrol used wisely Kieran’s Trippier through ball, sweeping the shot past the Italian goalkeeper, thus giving Spurs a 2-0 goal lead and a good option to win the game(71st). The Italian team didn’t give up though; they nearly obtained a consolation goal, but were denied first by a header off the line saved by Federico Fazio and then by Lloris who saved smartly a shot from Rodrigo Ely. Anyway, the Rossoneri appeared to lack fitness and often straggled to keep with Tottenham’s players, clearly more in shape. Abbiati looked solid, but Mexes was slow and David Calabria showed several times his inexperience; Suso and Alessandro Matri worked hard but their teammates service was too poor to help them create some good chances. AC Milan coach Sinisa Mihajlovic has asked the club to buy some new blood, before this Window transfer close.”These games have shown that we have weaknesses that we need to work on but nobody has a magic wand to instantly fix things” he said in the after game press-conference. Kieran Trippier won the MOTM award and Spurs can now face the new season’s beginning Away at Old Trafford with no injured players, but what about the squad’s performance? Tottenham had an easy work to do against the 10th team of Serie A, but what about the game waiting for them at Old Trafford? Hugo Lloris come back is a big boost for the lilywhites; Michel Vorn is lacking confidence and Luke Mc Gee is too young and inexperienced. Having the club’s Captain between the sticks will give confidence to the team, but is he well enough to face 90 minutes? Nasser Chadli is in fine form and he could help Tottenham’s unique forward Harry Kane, efficiently. Eric Dier is now playing in the middle, but watching his game, one can wonder if Mauricio Pochettino is right to take this option. 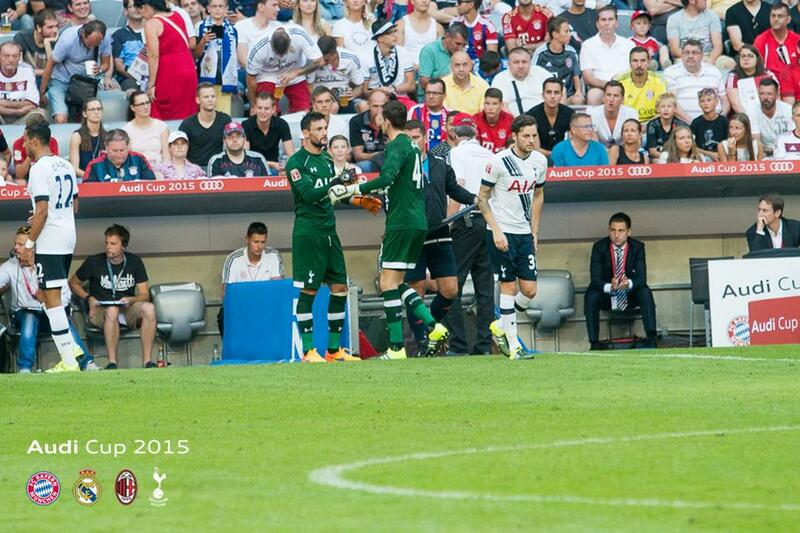 Dier lacks the awareness and confidence on the ball and he was disappointing in every game. Moussa Dembelé or even Delle Alli could be a better option. 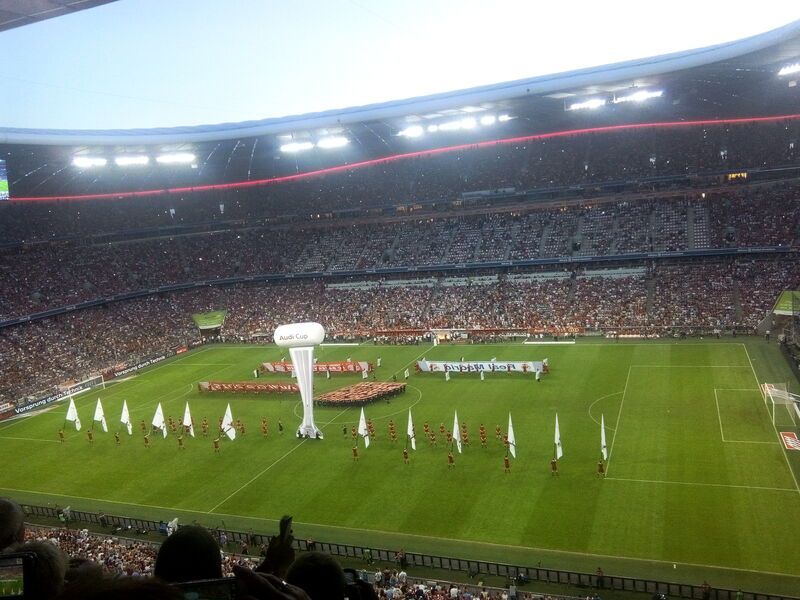 Tottenham will leave Munich Thursday afternoon, thus giving them very little time to rest before Saturday’s game at Old Trafford; Tottenham’s participation in the Audi Cup was certainly good publicity for the club, but let’s hope that President Levy, won’t regret it.